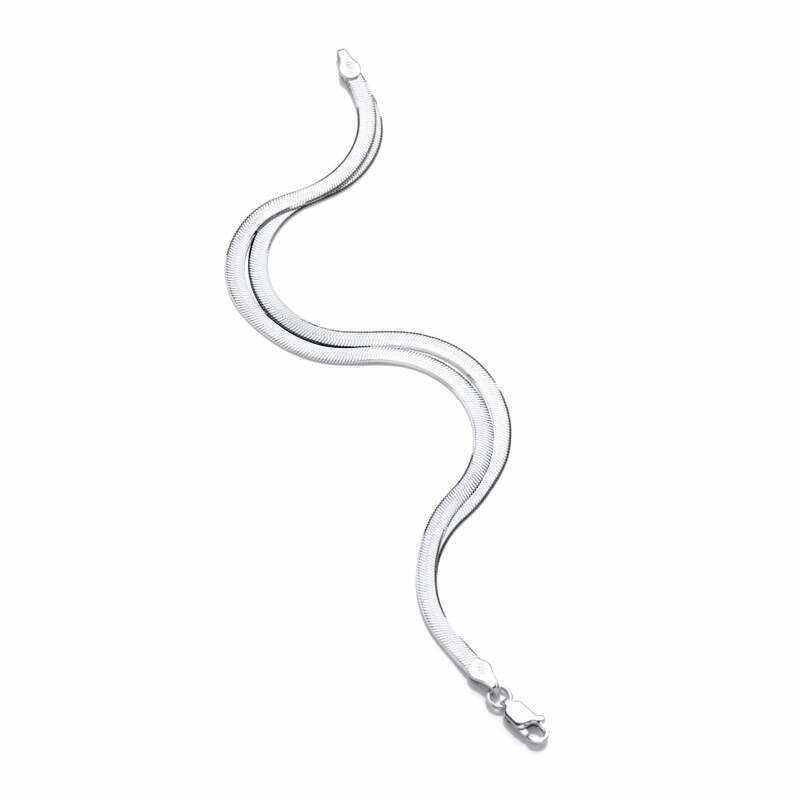 A sleek and elegant flat snake chain bracelet made with Sterling Silver 925 and Rhodium plated. A lovely piece that will compliment any outfit. Treat yourself.